This classic game of bingo is a fundraising event so popular that H.O.P.E. holds it twice a year, fall and spring! Hundreds gather to play for their chance to take home a collectible Longaberger basket filled with themed items. If you like Basket Bingo then you have found it! The fun continues throughout the event with raffles, door prizes, and refreshments. November 4th, 2018 Basket Bingo was a success! We had over 240 participants! Who to contact for details? Call the H.O.P.E. office. Or use our Contact Form here. Can a business sponsor a basket? Yes, if a business wants to sponsor a basket all they have to do is a make a donation for the price of the particular basket they want to sponsor. How are items collected for basket? Donations and purchased by H.O.P.E. What is the timeframe for events? In the spring and the fall, usually the first Sunday in April and November. 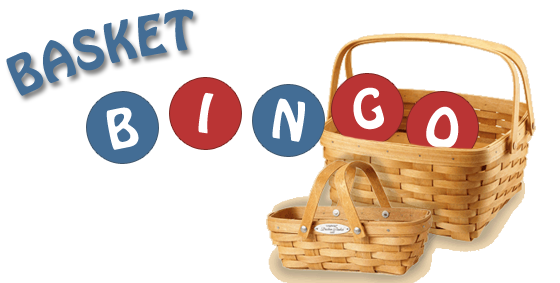 Basket Bingo and doors usually open at 12:30 and Bingo starts at 2 pm.